- Fits all standard downspouts. - Easy Installation! Extend, Bend, Connect & Bury. - Great to replace your old or broken one. - Suitable for inlet hoses and drainage hoses of various washing machines. - Washing machine extendable drain pipe, perfect for more convenient water draining. - Big Diameter: Approx. 50cm/1.96"
- Small diameter: Approx. 40mm/1.57"
Easy Installation! Extend, Bend, Connect & Bury. Great to replace your old or broken one. Suitable for inlet hoses and drainage hoses of various washing machines. 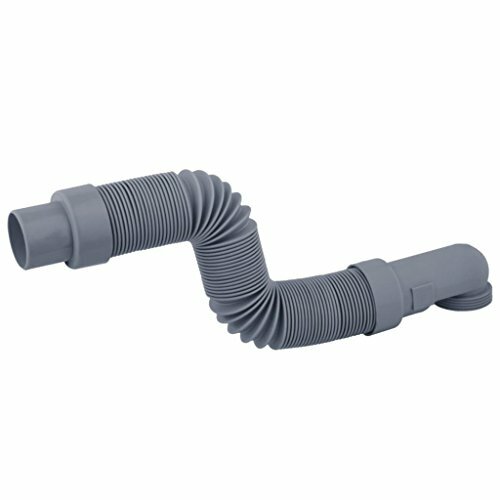 Washing machine extendable drain pipe, perfect for more convenient water draining.